DriverTuner™ IS YOUR BEST CHOICE! DriverTuner™ is simply Amazing! So easy to install and use, so many drivers. I have been spending all time and effort finding the solution for my sound card problem. DriverTuner™ found the drivers, now my sound card works perfectly again! I will recommend it to everyone. Great software! :) Thanks ! Thank you for being there when technical support is needed by your clients. I was so incredibly pleased with the results that I decided to buy DriverTuner™. It is rewarding! The more I use it, the more I like it. I have tried a large amount of other software, but none come close to solving my driver problem. However, DriverTuner™ do! 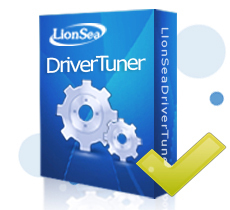 For anyone who wants to fix driver issues, I would recommend DriverTuner™! Unbelievable! DriverTuner™ solved my graphics card problem and saved my money! I tried to play new game but find it sometimes come with a screen flashing and freeze… DriverTuner™ helped me update all hardware drivers with the latest drivers, especially my old video driver. Now the game is running more smoothly! Wow! What a driver fixing and updating program!HAHA! Without driver, my Windows XP cannot recognize an old HP LaserJet printer that I got recently. DriverTuner™ helped me find and install the right driver for my printer and let it work well within 2 minutes! Thanks! It is a terrific driver fixing and updating program!!! I have been using no less than 4 other driver fixing softwares. I can tell you sincerely that none of them will match DriverTuner™. It is the best by far! I enjoy using DriverTuner™ very much , which I believe to be the best in the market - very easy to use and capable of yielding superb results. Everyone who wants to fix and update drivers is recommended to use it!